I live in an ‘urban’ area. I won’t get into the politics of that word and what it implies (partly, because I’m not really sure), but at the moment, I take it to mean dealing with some undesirables (people, places or things) more often than I would like. Let me also note that I’m certain that the list of undesirables I would find in the suburbs would be equally disturbing, but that is neither here nor there. And that was it. He snaked through each section of pumps politely asking the patrons whether or not they needed the newest latest DVD’s on the bootleg scene. 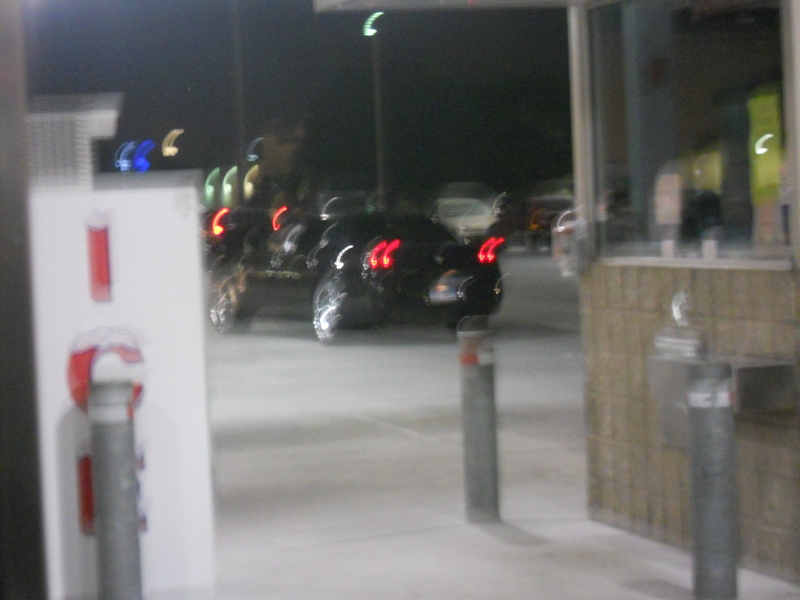 I took a blurry pic of his Charger to capture our exchange. This entry was posted in Daily Grind, true story and tagged bootleg, Bootlegger, Dodge Charger, DVD, Hustleman, minivan, Urban, Urban Development, Urban Entrepreneurship by hunterdotcomson. Bookmark the permalink.